What better way to celebrate with your pups on National Puppy Day than the Tail & Trends event this weekend at the Shops at La Cantera! Come on out tomorrow, Saturday, March 23rd from noon to 4pm for an afternoon of pup-friendly fun. From 12pm-1pm will be the Adopt the Runway Fashion Show. Models will grace the runway with furry friends in hand. 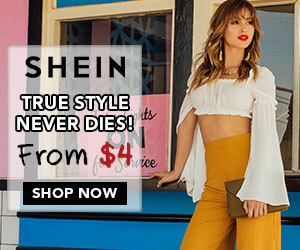 Get a first look at the latest spring styles from your favorite retailers including 7 For All Mankind, Altar’d State, Athleta, Free People, Johnny Was and Luciano. Hair and make up for the models will be provided by Toni & Guy and MAC Cosmetics. Plus, all pups strutting their stuff on the runway are up for adoption! Following the show will be The Shops at La Cantera’s first-ever Puppy Brunch – there are so many restaurants with patios and pet-friendly policies to enjoy! There will be exclusive offers from spots including Bar Louie, Grimaldi’s Pizzeria, Luciano’s, Palenque Grill and Pokeworks. I can’t wait to see you all out there with your furry friends! There’s no better way to celebrate the weekend than a little fashion, pups and great food! To learn more about this furry fun event click here.